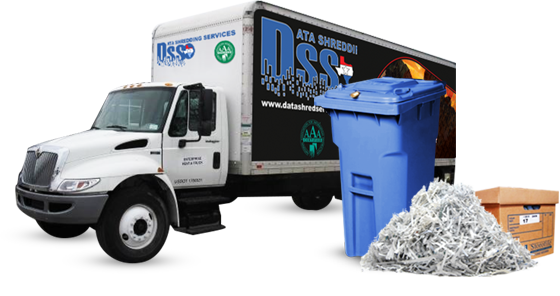 provided by Data Shredding Services of Texas, Inc.
NAID AAA Certified Dallas document shredding services provides mobile shredding and plant based shredding services to commercial and residential document shredding clients throughout the Dallas and Fort Worth area. Our facilities are not limited to just paper shredding, but are capable of full data destruction including Electronic Media, Hard Drives, and Product Destruction as well! Our State of the Art Document Shredding Equipment includes both Mobile and Plant Based Shredding Systems capable of destroying thousands of pounds of material in minutes! Certificates of Data Destruction provided! Free security containers with regular monthly service. Vehicles & equipment capable of document shredding 8,000 + lbs. per hour! Your #1 Choice for Dallas Data Shredding!